Longer explanation for a long question? So first a background for those who don’t know what the hell this is about! I happened to attend a bloggers meet organized by IndiBlogger, it was an event promoting a TV Show called Hum Tum by ZeeTV. The show is about Women; with Abhay Deol, the anchor of the show trying to understand Women through self-shot footage of six women going about their lives. They showed us one of the episodes and asked people not to record it, but they never said that we can’t write what we saw, but I will leave that bit to the others who attended. There was a question and answer session where some of us asked question, sitting on the last row I asked the last question and everyone was bit hungry and tired of the whole questions and answers… including me. So the question ended up being a little long and in a somewhat incoherent manner (yes! just like this post). So basically my really long Question was that We attach a lot of stereo types to women and some of the footage showed here had instances to which such stereo types are attached for e.g. Preeti one of the Characters is shown Crying and Cribbing about her husband and then in another scene she is sobbing while driving, So someone watching the show could go like “typical Women, crying all the time” or “Women can’t drive, why is she driving in this state(crying)?” and we often use these stereo types to put women down knowingly and unknowingly. So getting to the question does the show try to actively indulge it’s audience and talk about these stereo types in an attempt to wipe them off or does the show expect the audience to be intelligent enough and not fall for these stereo types. The reason for the question was that these TV channels have actively engaged for several years to promote an image of an Ideal Bahu, which I feel is derogatory to today’s modern women. And if the show actually tried to engage and break them stereo types it would be hurting other shows on their channel which run with an Ideal Bahu formula. Such a show is more of middle path than actually chalking a new path, if it doesn’t do anything about those stereo types, because the channel gets to have the cake (a “different show” one that’s bold,pro women and all that jazz) and keep it too (not hurt the sensibilities of their audience whose minds are conditioned to absorb their ideal bahu image). I didn’t get much of a reply, probably I was extremely incoherent or they didn’t really wanna answer me, but whatever little came out was clear. The Show has some Good Content but it has definitely been adopted to Suit the channels current audience and not really cross the line, just create such a perception. I really hope the channel see the market that’s growing for a more evolved audience online, where they can put out a truely “different” version of the show and here’s the best part, they can separate it out from their Channel on air or even the ZeeTV official Youtube Channel to avoid conflicts of interest mentioned above without much of an effort. Further the non-linear nature of the medium allows for continuous monetization of the content. 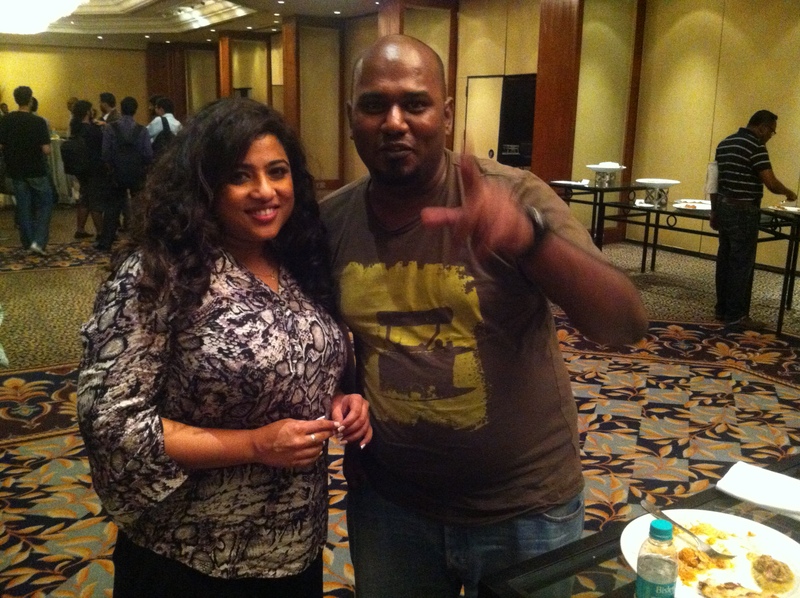 All said and done I had a good time, got a Free Webcam.. and met RJ Malishka..